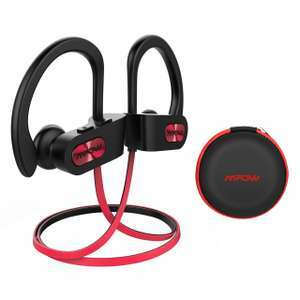 Mpow Wireless earphones Bluetooth £18.29 + (+£4.49 for non prime) @ Sold by Mpow Retailer and Fulfilled by Amazon. I bought these for £12.75 in February as a Lightning deal and they've been great for the gym. No issues with sound quality although the gym isn't the best time to give a thorough appraisal. I have these headphones and I found the sound quality terrible. Very tiny. I'm not getting tinny with mine but I have just tested a few songs sitting in a quiet room and there's a definite lack of clarity compared to my home system.